What is the element Nitrogen as on the Periodic Table? Nitrogen is a gas. It is a non-metallic element that constitutes nearly four-fifths of the air by volume, occurring as a colorless, odorless, almost inert diatomic gas, N2, in various minerals and in all proteins and is a constituent of all living tissues. Refer to Nitrogen Reaction for its reaction to Water, Oxygen & Acids. Nitrogen is an essential element for life, because it is a constituent of DNA and, as such, is part of the genetic code. It is used in a wide variety of important manufactures, including ammonia, nitric acid, TNT, and fertilizers. The Atomic Number of this element is 7 and the Element Symbol is N.
The name originates from the Latin nitrum and Greek nitron for "native soda" and genes for "forming" because of nitrogen's presence in Potassium nitrate, so called salpeter or nitre or native soda. Elements can be classified based on their physical states (States of Matter) e.g. gas, solid or liquid. This element is a gas. Nitrogen is classified as an element in the 'Non-Metals' section which can be located in groups 14,15 and 16 of the Periodic Table. Non-metallic elements exist, at room temperature, in two of the three states of matter: gases (Oxygen, Hydrogen & Nitrogen) and solids (Carbon, Phosphorus, Sulfur and Selenium). Obtained from liquid air. Nitrogen is also an essential constituent of all living organisms; for example, the human body contains about 2.4% of nitrogen. Interesting information is contained in the following table of Medical Uses of Nitrogen, Health and Treatments. Nitrogen Mustard is used as an anti-cancer chemotherapy drug. Brain tumor Nitrosoureas: A group of cancer drugs used to treat brain tumors. A useful reference providing information regarding the medical uses of Nitrogen, associated health issues and disorders and treatments using Nitrogen preparations. Nitrogen was discovered by the English chemist Rutherford in 1772 who determined that the air in which animals had breathed, even after removal of the exhaled carbon dioxide, was no longer able to burn a candle. 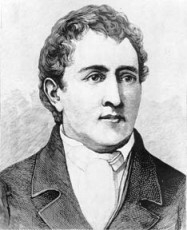 A little later Scheele showed it to be a constituent of air, and Lavoisier gave it the name azote, signifying that it would not support life. The name nitrogen was afterwards given it because of its presence in saltpeter or niter. The term azote and symbol Az are still retained by the French chemists. 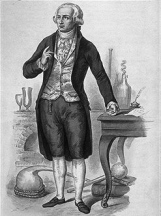 Antoine Lavoisier was famous for his care in quantitative experiments, for demonstrating the true nature of combustion, for introducing system into the naming and grouping of chemical substances. Lavoisier was executed in 1794 during the French Revolution. Check out Nitrogen on the Periodic Table which arranges each chemical element according to its atomic number, as based on the Periodic Law, so that chemical elements with similar properties are in the same column. Our Periodic Table is simple to use - just click on the symbol for Nitrogen as on the Periodic Table for additional information and for an instant comparison of the Atomic Weight, Melting Point, Boiling Point and Mass - G/cc with any other element. An invaluable source of facts and information as a Chemistry reference guide. The Standardised Periodic Table in use today was agreed by the International Union of Pure Applied Chemistry, IUPAC, in 1985 and now recognises more periods and elements than Dimitri Mendeleev knew in his day in his day but still all fitting into his concept of the "Periodic Table" in which Nitrogen is just one element that can be found. These articles contain facts and information relating to Nitrogen and each of the other elements including the Periodic Symbol, group, classification, properties and atomic number which is often referred to as the Periodic Table Number. Test your knowledge of chemistry and the Periodic Table by completing the Element Symbols and Atomic Numbers on our Blank Periodic Table. Chemistry students will also find a helpful section on Chemical Formulas.